Turtles are positive symbols in many traditions and spiritual paths. 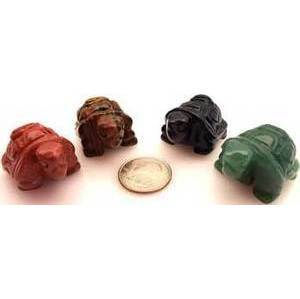 Each turtle is a carved semi precious stone. They come in many colors with good detail . Sold individually. Our choice.